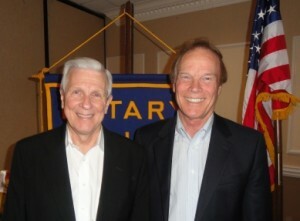 Recently I spoke to the Rotary Club in Clemson, SC, at the invitation of a lifelong friend from my hometown of Columbia, Mississippi, Dr. Jim Woods. As a retired orthodontist, Jim enjoys using his newly created free time to serve as a volunteer for worthwhile organizations in his community. He told me that he learned something valuable about communication during my Rotary speech, which he applied with highly satisfactory results a few days later at another group’s planning session. My Rotary speech focused on three essential steps for becoming a highly effective communicator: using clear language, making the most of that unique instrument known as your voice, and listening intently and non-judgmentally. Later in the week, Jim participated in a second group session, geared to explain a fund raising campaign to Board members of a charity seeking $20 million in gifts. To expose the members to various viewpoints small groups circulated around the room until they heard presentations from six discussion leaders. Jim was one of those leaders. When the first group came to Jim’s table, he launched into his outline of the capital campaign’s plan, detailing where the gifts would come from and how the Board would allocate them. During his fast-paced delivery, the Board chair announced: “Ten minutes gone, wrap it up in two minutes.” Jim decided he’d better talk even faster to cover all he wanted to say. When the seven people starting contributing their ideas, a fresh stream of energy began to flow around the table. Jim felt the change, and so did the others. Clearly, the lesson Jim learned about listening brought a permanent improvement in his communication. So put the power of listening to the test, as he did. The results will amaze you, and all those you lead. Dr. Jim Woods and I will welcome your response. Go to the end of the blog entry in the section below and click NO COMMENTS if none have been made, or if comments have been made click 1 comment, 2 comments, or whatever the comments button says. The comments section will appear. I invite you to visit this page, to check my book and audio CDs that will boost your communication skills. You’ll note that you can order some of the CDs as downloadable MP3s, so you can access them instantly. Major credit cards accepted for your convenience. This entry was posted in Fund Raising, listening, Meetings, Voice and tagged Bill Lampton, Clemson Rotary Club, Dr. Jim Woods, listening skills, make the most of your voice, use simple language by admin. Bookmark the permalink.